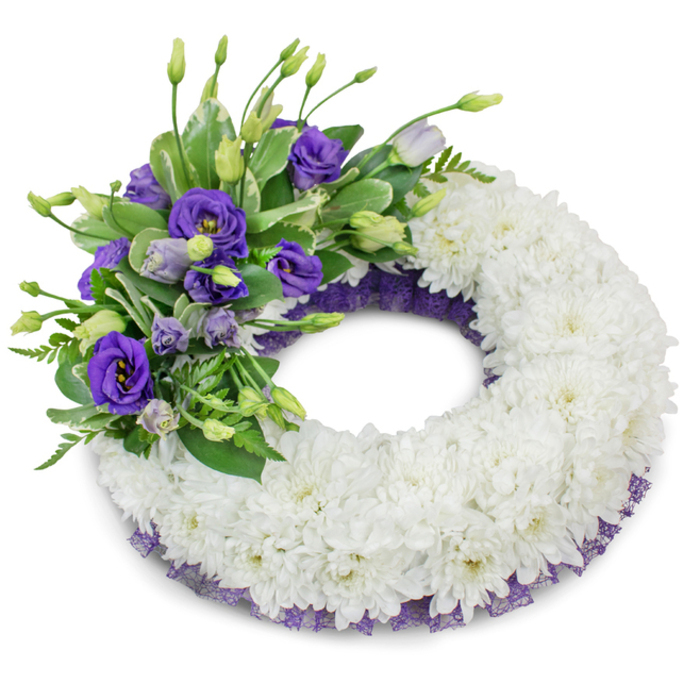 White chrysanthemums are combined with white and purple lisianthus, and are delicately finished with lush greens to create a lovely floral wreath to honor the life of a special someone and offer your condolences to the grieving family. 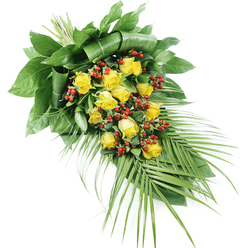 It was arranged with a lot of attention and skillfulness. The flowers were fresh. When in doubt what to order, give them a call. 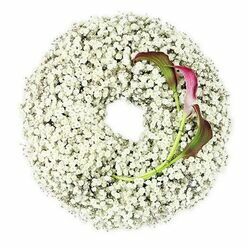 I called last week to ask for a suitable funeral arrangement and they offered a great variety of wreaths and tributes. Good service. Super fresh and beautiful. I don't understand much of flowers however this arrangement was exactly what I needed to pay my respect to a close friend. Good online shop. Very good company. 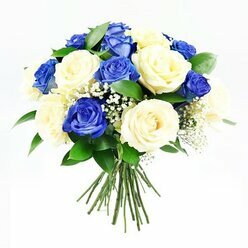 I really appreciated your prompt flower delivery. Fast and friendly service. I couldn't order online so I called them to finish my order over the phone. It was very convenient and stress-free experience. 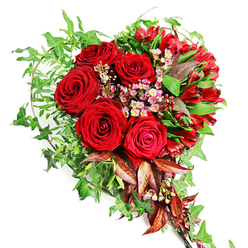 The flowers from this online flower shop will commemorate your loved one. 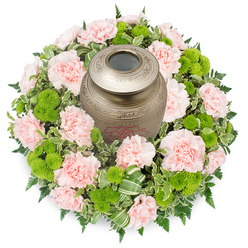 It is the best place to order flowers for a funeral. The selection is fantastic! Funerals are a tough and unfortunate occasion that everyone has to face. 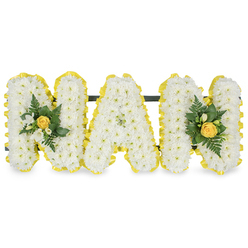 The flowers I ordered from Handy Flowers made the perfect tribute to the life of my dear friend!